However, the Scottish independence referendum campaign provided another opportunity for the SSP break out of the laager and relate to a mass democratic movement. The Radical Independence Campaign (RIC) (with successive conferences of 800, 1100 and 3000) was able to reunite many of those who had ended up on different sides over Tommygate. Solidarity, the Tommy Sheridan Fan Club, went into decline, abandoned even by the CWI/SPS and SWP, which had opportunistically given him their backing. The SSP leadership joined the official ‘Yes’ campaign, whilst also keeping a foot in RIC. In the process it attracted quite a lot of new members, particularly from the 2011 generation. This was a time for the SSP to open up a serious discussion in the Left about socialist strategy and to fully democratise its structures, bringing on board the new wave of younger activists. As it turned out, the stance taken was to maintain the SSP as a sect around the existing leadership, and to maintain its distance from autonomous campaigning organisations. To work effectively means being able to address the inevitable political challenges faced when working in autonomous organisations. This will also develop critical thinking, which can itself be a major force in developing a wider genuine democratic culture. Instead the SSP leadership pushed its own own party campaign for a £10 an hour minimum wage. Substituting such party campaigns for work in autonomous organisations leads to members being shielded from political challenges, and this makes it easier to maintain the stranglehold of the existing leadership. 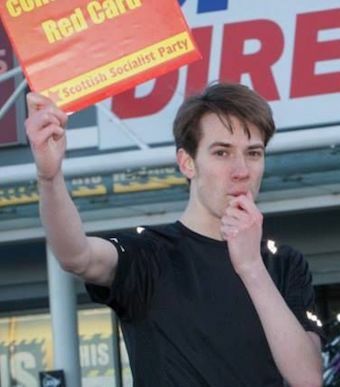 This has come to a head with the resignation Connor Beaton, who, until his resignation, was the SSP National Secretary. We are publishing his letter, along with the ‘official’ reply from SSP national chair, Calum Martin, and responses to this from Frances Curran, an SSP National Executive member and the Highland branch of the SSP. I circulated the statement below to the SSP executive committee following my resignation from the party on Saturday 4 August. I am publishing it in full for the sake of posterity and transparency. Following my resignation from the Scottish Socialist Party at our EC meeting in Edinburgh on Saturday, I have written this statement to elaborate on the reasons for my decision — which I ultimately felt could be related to the EC more effectively in writing than in person. Firstly, I’m disappointed at how sharply I was criticised for missing our previous meeting — the only meeting I’ve missed since taking on the role of national secretary, and one of very few since joining this EC four years ago. I won’t repeat my earlier written explanation for this. Though I welcomed the opportunity to speak with Jim and Calum recently, the EC’s decision to despatch them to Dundee to pull me up on my conduct as national secretary (however politely) feels, in retrospect, immensely patronising and disproportionate. Certain EC members made no secret of opposing my nomination as national secretary last year and have never relented in criticising my performance, without ever offering help or expressing support or solidarity when I explained why, at times, I was struggling with the workload. I’m grateful to those of you who did. I find it particularly galling that members of this executive in relatively privileged positions — in receipt of wages from the party (without direct accountability), or without full-time work — have complained about my ability to take on an enormous burden of work without compensation, alongside a 30-hour work week and a considerable workload in local organising. In spite of these challenges, I’m proud of what I have achieved over the past year. For instance, our internal communications, both as an EC and as a party, have never been more reliable. My immediate predecessor as national secretary struggled to circulate emails to this executive without the assistance of another EC member. I was often asked to circulate documents to EC members ahead of meetings because his technical illiteracy prevented him from doing so. One of my first acts as national secretary was to set up a Google Group so that any EC member could easily contact the full executive without needing two-dozen email addresses, more than a basic level of technical literacy, and without any danger of emails reaching the wrong people. On party communications, I oversaw the introduction of direct email shots to party members instead of relying on branch secretaries to forward emails — which, in practice, meant it was difficult to predict when members would receive a communication or whether it would arrive fully intact, and members in semi- or fully collapsed branches (1) would never receive them. I worked hard to develop the member’s bulletin, which was already irregular before I took on this role, into a useful and attractive publication, despite receiving very little interest from the EC. Many members — especially lapsed members who drifted after the referendum and have since rejoined — have told me they’re impressed with the improvement in party communications. This EC has never arrived at a meeting venue to find that it hadn’t actually been booked, which happened more than once while I was an ordinary member. When I have suggested late changes to dates or venues, I have sought the consent of the wider EC and usually deferred to it, having myself protested my predecessor for his unilateralism and lack of accountability. As well as this basic, unpaid administrative work, I’ve continued to contribute substantially to the party’s local work in Dundee, its interventions in major national events, and its much-neglected international work — for instance at the G20 in Hamburg and on the Catalan referendum, at great personal expense, which enhanced the SSP’s profile and reputation abroad and fed back into successful and well-attended public meetings in Dundee, Aberdeen and Glasgow. Where others on the EC have played down the importance of this, I have worked to maintain a constructive relationship with other organisations on the left, including the Radical Independence Campaign, Living Rent, Fans Against Criminalisation, the Scottish Palestine Solidarity Campaign, the Catalan Defence Committee Scotland, Anti-Capitalist Queers, the Student Solidarity Network and others — members of which have told me they have a more positive impression of the SSP because of my honest and open engagement. Nonetheless, it would be dishonest of me to say that I’m entirely happy with my record as national secretary over the past year and a half. 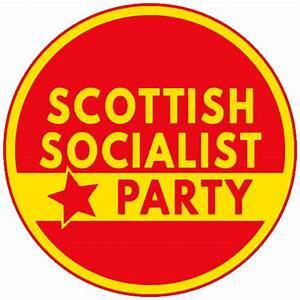 Since I joined the SSP five years ago, in the early days of the independence referendum campaign, I have been convinced Scotland needs a socialist party. The SSP has attracted the interest of thousands of people precisely because it is the largest organised expression of the popular aspiration to a mass, democratic, working class organisation engaged in community and workplace struggle (even though it cannot credibly claim to be this organisation itself). When I took on the role of SSP national secretary, I knew I would be taking on an enormous workload and a key role in building a party that is often struggling for its very existence, let alone a key role in working class life. I took this on with enthusiasm and optimism, buoyed by the support of members who voted for me as well as many who couldn’t attend the last conference. That enthusiasm and optimism has evaporated over the course of the past few months. It was particularly difficult for me to watch members of my own branch leave the party or fall into inactivity as a result of their own frustrations with the SSP nationally, despite my best efforts at reassurance. A stinging criticism was the complaint that our branch’s relationship with the party hierarchy was one-way: asked to pay ever-increasing membership subscriptions and attend events in Glasgow or Edinburgh, without ever receiving meaningful support (political or practical) for the political work we wanted to pursue in Dundee. This seriously exacerbated an unhappiness with a number of the SSP’s political positions (more below). Many former members have stated their continued respect for me as an organiser, but are unwilling to be affiliated to the SSP or its leadership — I continue to work with many of them outwith the party. I am also frustrated with the SSP’s inability to correct its serious political shortcomings. It is disappointing that we have come no closer to developing a coherent strategy than when we agreed to do so in September 2017. In lieu of this, I’m certain the SSP will continue ‘ambulance chasing’ (to use Ken’s phrase) and lurching from one disastrous political error to another. As far as I’m concerned, these errors include the SSP’s confused ‘independence election’ intervention in the 2017 snap general election, which was widely read (and reported in the mainstream press) as an endorsement of the SNP in the face of a left challenge from the Labour Party under Jeremy Corbyn. This played particularly poorly among the substantial base of working class Yes voters who have lost trust in the SNP since 2014 but remain wary of Scottish Labour — these people should and could have been our principal target audience. It is shameful that the SSP has not been willing or able to articulate a strong left critique of the Labour Party that goes beyond their position on independence (which has not stopped a substantial number of Yes voters backing Labour to date) and frankly condescending statements from our national spokesperson which pathologise the movement around Corbyn (‘Corbynmania’) rather than offer a serious analysis of or answer to it. My proposal last year that the SSP produce a critical pamphlet on the Labour Party — drawing on the experience of people like ex-Labour MP John McAllion — was accepted by the EC and then overturned at a subsequent meeting in favour of producing a second pamphlet on independence, the uselessness of which has been proven by its failure to materialise many months later. More recently, the SSP’s interventions in demonstrations for independence and against Trump have been grossly miscalculated, anchored around propagandising for our long-running economistic campaign for a £10 an hour minimum wage instead of making a serious effort to win participants to a socialist analysis and plan of action for breaking the British state or countering the far-right (for instance along the lines of the leaflet I helped to author for the RIC 2018 conference), which I can’t understand as anything less than an abdication of responsibility. There is no evidence to suggest that the £10 Now campaign will be able to turn around the SSP’s fortunes. The political method that built this organisation and its predecessors was the hard graft of organising in working class communities around genuine community demands, in tandem with other forces (for instance in the struggle against the poll tax). The demand for £10 Now has not emerged organically; it is a demand that the SSP is imposing on working class communities rather than drawing from them. It doesn’t connect with popular anger in the same way as, for instance, the SSP’s streetwork against the bedroom tax in 2012-13. Where I’ve suggested the SSP invests in a different approach, most explicitly in a paper which I circulated and published earlier this year, this has been either derided or roundly ignored. Most farcically, I’ve been told what I’ve proposed isn’t real class politics, which suggests to me that the SSP leadership does not truly grasp the idea of working class power, let alone how to build it. This has concerned me as early as 2015, when Colin discouraged my branch from prioritising work around the community-led campaign to save Menzieshill High School. It is far beyond my capacity as one person to set out what the SSP can and should do to reverse its decline. All I expect from the organisation is the opportunity to contribute to this process in a collaborative and comradely spirit. This opportunity is routinely denied in the SSP. The party’s internal democracy is fundamentally broken. Major political discussions and conclusions take place at the EC, rather than with the membership (and, of course, these discussions are driven by what is opportune in the short-term, rather than based on a coherent political strategy). Although the EC elections are run on a democratic basis, office-bearers regularly abuse their position to influence the results; Colin regularly phones branch secretaries and instructs them as to how their members should vote. His branch colleagues recently spearheaded a failed attempt to reduce the size of the EC by decimating the number of ordinary members, hurting political pluralism on the party’s most important decision-making body. My suggestion of a day school for members considering running for the EC was dismissed. Political power in the SSP is ultimately held by the undeclared faction centred principally around Colin and Ken, who, despite assertions to the contrary, function as the SSP’s de facto leadership and persist in trying to centralise power even further. Colin has intervened to prevent the international committee from organising its own educational events or sending motions to the SSP conference, instead insisting the committee should only do what the EC tells it to do. He has also sought to frustrate the process of producing a strategy, having incredibly proposed at one point that he could author a new pamphlet instead. He has coined the laughable phrase “über democracy” in complaining about democratic processes. Discussions at an EC level are dominated by a very small handful of people who evade responsibility for the poor outcomes of their proposals and initiatives. Colin once boasted to me of being “the longest-running party leader in Scotland”; it was once pointed out by another member that any other party leader with such a record would have resigned by now. Although the SSP is ostensibly not a democratic centralist organisation, there is a strong prejudice against expressing any dissidence publicly. But even inside the organisation, criticism of current SSP positions or campaigns is often met with personal attack and ridicule, and shut down as quickly as possible. Political errors are never acknowledged or dissected, but simply forgotten. When members do share dissident views outwith the organisation — even couched in conciliatory language, or presented as ideas for discussion — this is treated as an act of disloyalty. In particular, “social media” has become a scapegoat for a problem rooted in the lack of genuinely open, democratic and accessible spaces for political discussion in the party. There is a double standard, however, where the SSP core leadership is concerned. Colin, for instance, faced no rebuke for publishing an embarrassingly poor blog on the Catalan referendum in its immediate aftermath, without having consulted either the democratic decision-making bodies of the party (the EC and NC) or the SSP members who were hosted by CUP on a delegation to Barcelona and Sabadell. The position he set out — that “the tactics the independence movement employed in Catalonia in holding this referendum may well have backfired” — was later rejected emphatically by the SSP NC in May 2018, when it was finally able to vote on a Catalonia motion. Similarly, Ken is not expected to answer for using Voice editorials to advocate his proposals around campaigning for a “People’s Parliament”. Not only is the SSP’s internal regime notably undemocratic, as if that was not enough, its centralisation also contributes to political initiatives disappearing to inertia. Nearly a year after Ken hinted towards it, a serious online news presence for the Voice, which could well have contributed positively to the wider pro-independence left, has not materialised. My offers of help on this — having developed successful online news platforms as my full-time job for the past three-and-a-half years — were repeatedly ignored (though I was recently able to help Simon Whittle secure the socialistvoice.scot domain, at my expense). By failing to take online seriously, the Voice is marginalising itself and minimising its own readership; I don’t think the blame for this lies anywhere but in Ken’s general unaccountability to anyone but himself. I am happy that I’ve at least tried, unlike many other critics of the SSP, to intervene and argue for a change in the course of this party. However, five years after I joined, the SSP feels more than ever like an organisation in terminal decline in both political and practical terms. It is a shadow of the organisation I joined in 2013, let alone what it was at its peak 15 years ago. I can’t overstate the despair that I’ve felt lately about the direction of this organisation, in which I’ve cut my political teeth, made close friends, and gained most of my political education. I am happy to accept that this has undoubtedly had an effect on the quality of my work as national secretary, despite my reassurances to Jim and Calum that I was committed to the role. As I’m no longer able to justify working on behalf of the SSP, my only principled option is to resign my posts and membership with immediate effect. I can no longer accept the disproportionate level of scrutiny and criticism that has accompanied my work as national secretary; I can neither support the SSP’s political direction (particularly the weight assigned almost exclusively to the £10 campaign) nor challenge it effectively from within. My priority over the next few months will be working in tandem with other activists in Dundee (including former SSP members) on a series of political interventions that will, I hope, help build the political power of working class Dundonians and the strength of the local organised left. I will be happy to continue collaborating with SSP members on specific initiatives where this is mutually useful, but I am no longer happy to be shoring up support for the SSP as an organisation nor its beleaguered, unaccountable and hopelessly out-of-touch leadership. 1. I also took the initiative with Jim and Scott to identify and formally dissolve/merge collapsed branches. 2. It was Colin who called them “trivial issues” in his reflections on the RISE conference in late 2015. Hugh called them “liberal issues” in July 2018 when I criticised messages he sent about LGBT politics from the SSP’s Facebook page without consulting the SSP social media team and particularly its LGBT members. 3. I emailed Colin and Hugh on 9 June 2018 and received no response. 4. Key figures in the Labour Party visited student occupations, sent messages of support and paid for food deliveries, whereas Colin successfully intervened at EC to insist that SSP material about the UCU strike should include “no more than a footnote” about the considerable amount of solidarity shown by students. Colin was then asked to write a statement about the UCU strike which never emerged. I personally know several activists involved in these occupations who have gone on to become Labour Party members. Meanwhile SSP members look forward to participating in next weekend’s independence rally in Dundee, intervening in forthcoming university freshers fayres and hosting the Scottish Socialist Voice Forum on the Sustainable Growth Commission’s report in Edinburgh on September 15. 3. 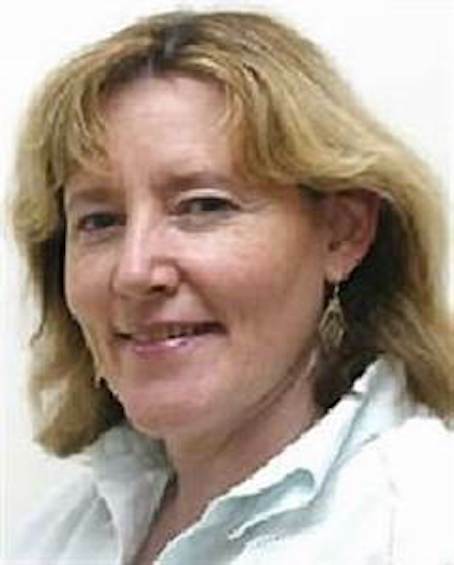 Reply from Frances Curran, National Executive member of SSP. Connor Beaton who was elected as the SSP secretary at the last conference dramatically resigned at the SSP Executive (EC) last week. He issued a resignation letter. A statement in response was circulated by Colin Fox to EC members asking for agreement to issue it publicly, there was no agreement from EC members a large number were opposed to issuing the statement. However a watered down version of the same statement appeared in the National on Saturday under Calum Martin’s name. I cannot speak for the others but below is my response to the draft statement circulated to EC members. The impression has been created that the EC agrees with the statement in the National — this is far from the truth. “I have noticed there had been no discussion on Connor’s resignation letter, until the article in the National which I have just read. I want Connor’s resignation letter as an item on the agenda of the next EC and I want the leadership of the party to address the issues — we are crying out for an honest discussion, and to ask why we are in this state and it is democratic to ask those in the leadership positions to give an account of how the think we got here and what responsibility they shoulder for this situation. 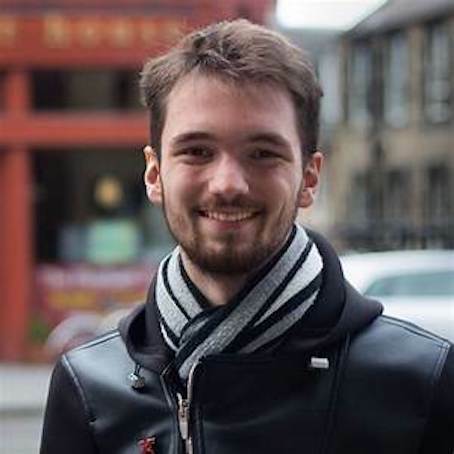 We have just lost Connor who was an asset to this party, who had a commitment to the party and who represented a younger generation of activists. (He is only 22). I have watched 4 waves of young people come through this party during and after the indy ref campaign, the majority have passed through and gone out again, the vast majority of them are still active in the movement but not in the SSP, I still work with them. The culture of the party is a factor in this decline. It does not facilitate democratic engagement and discussion. And as a result of this there is a total lack of political analysis and then a strategy of how to create and develop a mass socialist/anti-capitalist wing on the independence movement rooted in the working class. I was totally opposed to the way Connor was treated. I was opposed to his absence being an agenda item added half way through the meeting. I was opposed to the culture and the attitude of Colin and made the point that this was wrong that no-one has even spoken to Connor making the point that we don’t know why he is at the James Connolly meeting. I specifically used the words “I am opposed to this culture” in my — by then — rather heated exchange with Colin in the break. Unfortunately, a family member had taken seriously ill and I had to return to Glasgow and wasn’t present for this agenda item. I remember Callum saying that he had assumed Connor was ill but that Connor hadn’t explicitly said that in his apology for the meeting. I think it is disingenuous to say the EC unanimously asked Connor to account for his absence. I would have opposed it and I made my view clear in the break. Connor outlines a pretty devastating critique of the party and the leadership, some of which I concur with and other points, particularly political points which I don’t. But in any healthy party those differences would be easily accommodated and in fact be seen as a strength. The attempt to argue that he is either: not up to it; a renegade; not a real socialist; not a real revolutionary; a dilettante; doesn’t sell papers or do stalls; or is an enemy of the party, so we will not entertain his points, is quite frankly poor. These patronising insults have been tossed after a whole procession of talented people who have joined and then left this party over the last 5 years. I have raised these issues on numerous occasions at the EC to be met with deaf ears and a closing down of discussion and on way too many occasions been shouted at by Colin. A bullying culture which brooks no descension or any genuine discussion. In any other organisation it would not be tolerated. The leadership of this party which has been in place for 10–20 years have totally failed to develop another layer of young members to a leadership role. A devastating track record. So, the party continues to be run into the ground, it is in the worst position ever since we launched in 1999. Nationally the branches have never been weaker. Glasgow is a rump of a party, we have little visibility, no influence and even fewer active members. It was demanded that Connor account for not attending one meeting. Where is the accountability of the leadership and the paid organisers of the party for the dire situation of the party? There is no democracy, a few individuals put themselves on almost every platform at public meetings, these decisions are not taken democratically. There is no collaboration or any democratic channels for discussion certainly not at a Glasgow level about political analysis strategy or tactics. Every leaflet is written by Richie despite challenges to that situation. How are those decisions taken? Where is the democracy? This has been challenged over the years but there are no democratic structures through which to challenge it. The Glasgow regional committee was closed down by the regional organiser about 7 years ago. This is not the SSP I founded, discussion was encouraged, pluralism, i.e. different political points of view were welcomed, we were trying to clarify both a political perspective for this new party and a strategic plan of development. All of the EC members spoke at meetings on behalf of the SSP, Allan Green, Alan McCombes, Rosie, Carolyn, me, Tommy, Richie, Colin, Donnie (youth) and many more. We consciously tried to develop a collective leadership. We introduced 50/50 and massively changed the representation of women in the party, now we have one of the worst situations of any party for women’s representation and activism. The party leadership has overturned the culture that the SSP was founded on and has withdrawn from the unity of the left, the strategy of the early SSP. They have retreated to the ‘ourselves alone bunker’. The paid organisers and the de-facto leadership should be asked to account for the steady decline of the party. Connor has raised some serious points which merit serious discussion, I don’t agree with all of them but I do agree with others, this should be put on the agenda for discussion not swept under the carpet. I don’t support issuing the statement. I agree with Kevin’s proposal. 4. Letter to The Editor of The National in response to ‘SSP reject claims made in resignation letter’. As members of the SSP Highland branch (two of whom are members of the SSP Executive Committee) we wish to take issue with the letter published today from the SSP Chair regarding the resignation of the Party’s National Secretary. It is regrettable that a decision was taken to issue such a letter publicly rather than deal with this within Party structures and therefore as a Branch we feel it also necessary to make our position public. There are many inaccuracies in the statement, from minor issues such as stating he resigned “dramatically in a fit of pique” (he calmly made a statement and left the EC meeting) to major concerns of ” the SSP rejects each and every one of the allegations”. This is completely untrue – at no time has the Party considered the, in some cases, very serious, allegations raised by Mr Beaton therefore they have been neither refuted nor proven at this stage. To state otherwise is simply a lie. To state the allegations were not raised “because he knew the party as a whole did not agree with him” has no basis in truth. The Party EC has yet to agree a statement in response to Mr Beaton’s open letter therefore to make such a statement does not reflect the views within the Party. As a Branch we cannot stand by whilst the membership is misled in this way. Setback or Disaster: Can the SSP Survive? RCN statement following the Tommy Sheridan Perjury Trial. BEYOND THE SSP AND SOLIDARITY – ‘FORGIVE AND FORGET’ or ‘LISTEN, LEARN AND THEN MOVE ON’?